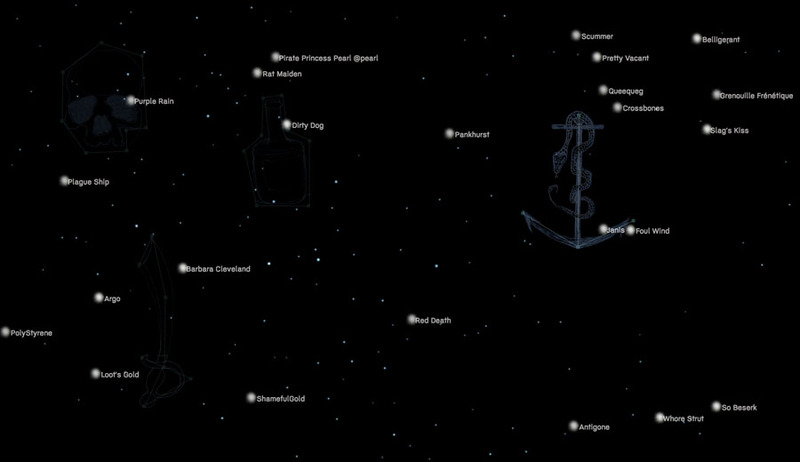 Linda Dement's role in Divination is live code projection, gathering phone data and network traffic to generate projected constellations of pirate ships in the stars for the Pyrate Queen to navigate by. 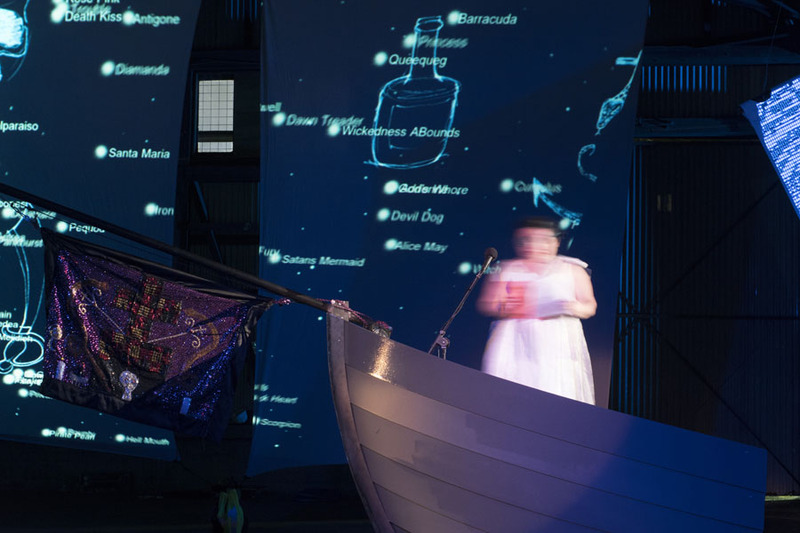 Mauro-Flude's Divination stages a romantic mutiny against techno-utopian culture within a live performance work. 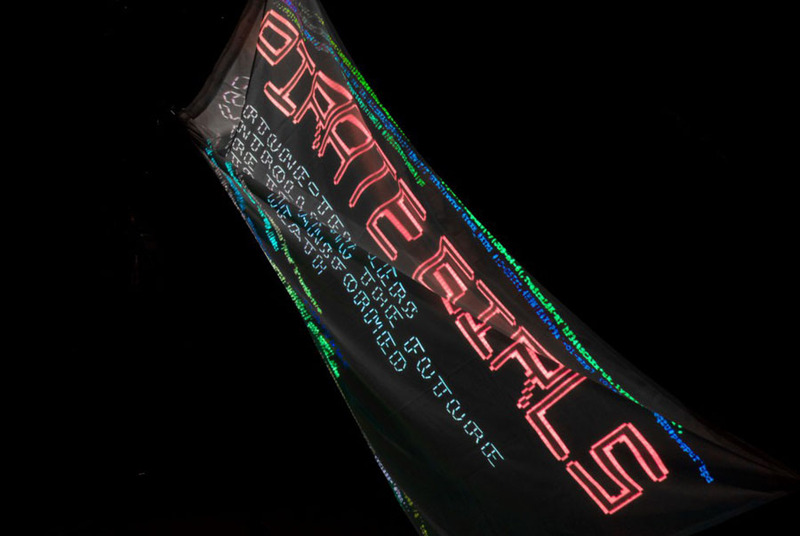 Pirate girls (both human and nonhuman actors – chat bots, rogue presences) illuminate the complexity of uninformed consent strategies. 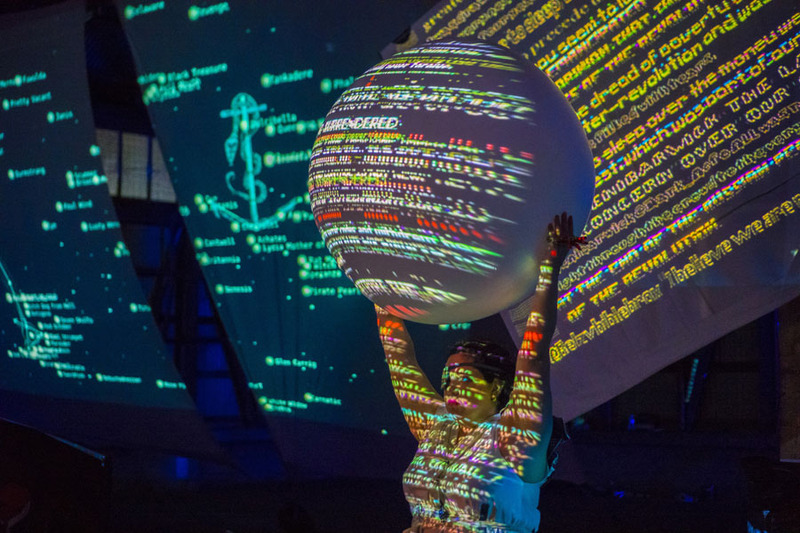 An energetic collision of computer culture & nautical mythology, Divination channels both metaphysical and physical networks to gain access to these invisible performative codes. 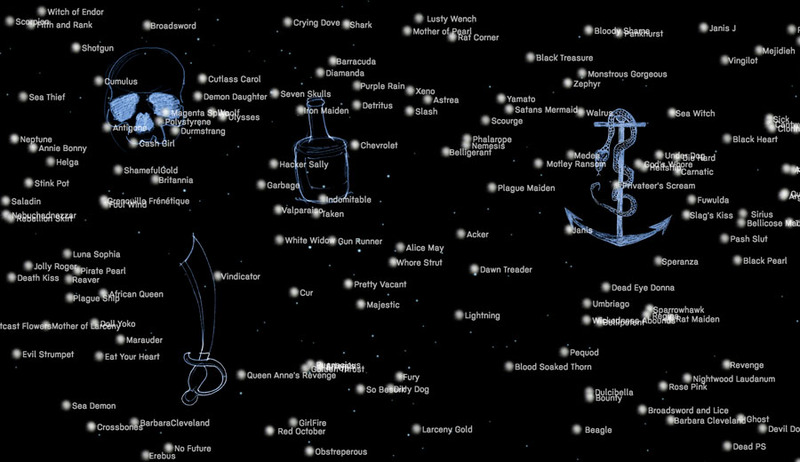 Encounters with pirate girls happen via remote forms of communication before, during and after the event in the performance space. Divination has been assisted by the Australian Government through the Australia Council, its arts funding and advisory body. 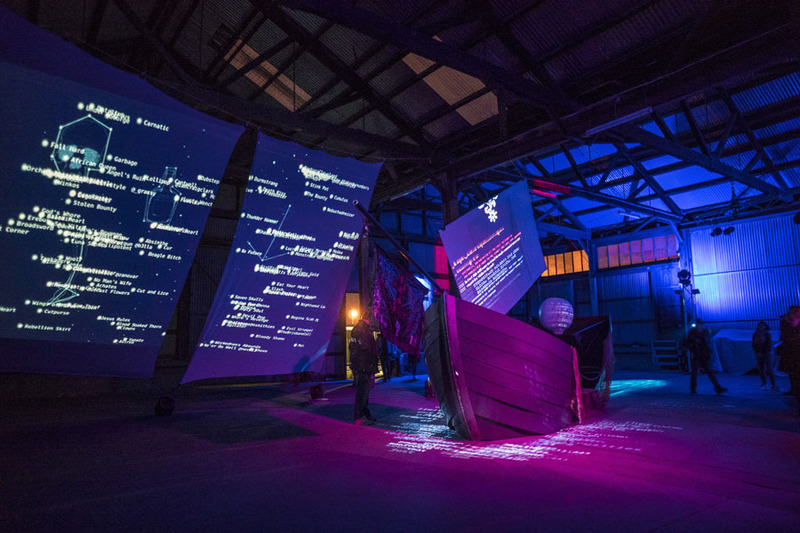 Divination is a Contemprary Art Tasmania Offsite project and has been assisted by Tasmanian Regional Arts. The Regional Arts Fund is an Australian Government initiative supporting the arts in regional and remote Australia delivered in partnership with Tasmanian Regional Arts.